We found 4 episodes of On A Roll with the tag “vampire”. The very first time anyone runs a game can be nerve-wracking. The Curmudgeon, the Legend and the Favorite navigate through advice and suggestions to help make running your first game less stressful and more successful. 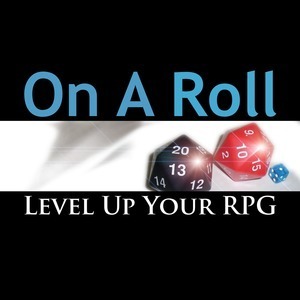 Breaking it down into what a new DM/Storyteller should do before, during and after their first game, Ryan, Carie and Jason do their best to help any novice game runner have a successful experience. They also take a few minutes to address the current controversy surrounding White Wolf's release of Vampire 5th Edition.